Laparoscopic Gynaec Surgery is a wide term used for all the laparoscopic procedures done for medical conditions associated with the female reproductive system. It is the particular surgery that cures infertility in females. Laparoscopic Gynaec Surgeries in Lokhandwala, Mumbai is a microsurgical procedure done with the help of tiny video camera known as 'laparoscope'. The major benefit of Laparoscopic Gynaec Surgeries in Lokhandwala, Mumbai is that it cures infertility and increases the chances of conception. The success of the rate of this surgery is mostly high. Estimated 60% of women have the successful pregnancy after following this surgery. Before Laparoscopic Gynaec Surgeries in Lokhandwala, Mumbai, a complete evaluation of patent is done which includes routine blood and urine test, physical examination, ultrasound scans to know the exact condition. After surgery, the patient is discharged on the same but complete recovery takes place within the 1 or 2 weeks. Till recovery, it is advisable for the patient to avoid lifting heavy weight, climbing stairs, and other physical activities. Here, we put forward the cost-effective laparoscopic surgery in adhere to the international norms of Laparoscopic gynecological surgery. The surgeons who perform Laparoscopic Gynaec Surgeries in Lokhandwala, Mumbai are highly experienced and hold expertise in all types of laparoscopic infertility surgery. 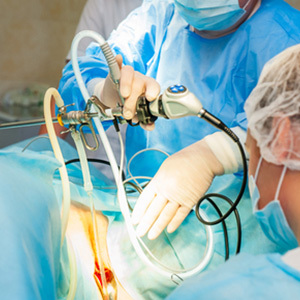 Planning laparoscopic surgery with us can be the simple, safe and hassle-free process.